Like many of you, I am always on the lookout for the latest thing that prevents aging. I attempt to live life to the fullest, be present, spread love and kindness, eat a whole foods diet and exercise daily. I also take a big old handful of supplements every day. Some of them are to heal my gut and treat the occasional inflammation I have, and some are to prevent aging and all the problems that go along with it. Over the years, there have been a slew of supplements on the market claiming to slow down the aging process. This latest one, NAD, or nicotinamide adenine dinucleotide, seems to have some real merit. I am listening. I am taking the pill. NAD is a coenzyme that is in every single cell in the body. NAD is involved in transporting electrons (remember high school biology?) from one molecule to another. This transfer of electrons is imperative for your body to function. NAD is required by the body to convert your food into energy. When the food you eat is broken down into its base components of nutrients, those nutrients are then converted, with the help of NAD, into ATP. ATP is the only source of energy that our mitochondria, the energy producing batteries in our cells, uses to run and to repair themselves from damage. ATP is required for our muscles to fire, our brains to think, and our organs to work. Therefore, without ATP, our cells cannot function, disease ensues, and death will follow. Healthy levels of NAD protect your cells from oxidative stress, help to repair damage to DNA, repair injured mitochondria, and help to modulate enzymes. In other words, NAD is essential to keep your cells healthy. Because NAD plays a critical role in the functioning of each and every cell in the body, low levels of NAD have been linked to many diseases. 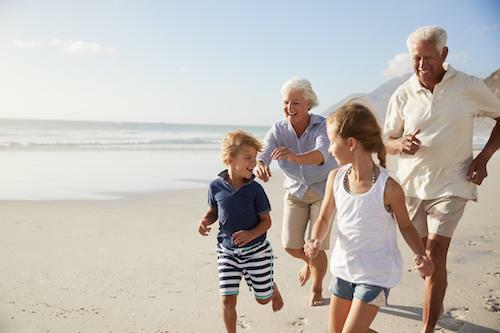 Researchers have found that deficient levels of NAD play a central role in the pathological development of disease and of aging in general. NAD is thought to be protective to the heart, the brain, the kidneys, and even the eyes. This emerging research has sparked such interest that NAD+ is now considered one of the best anti-aging supplements. As we age, our NAD levels naturally decline. Therefore, if you are like me and are trying to prevent aging, NAD is definitely something to pay attention to. You can supplement with NAD. Here at Vail Valley Pharmacy we carry Nia-Cell and I would recommend 500-1000mg/day.